Pilu oil is an extract from seeds of the Pilu tree, the Meswak tree, and the Mustard tree. The Pilu tree belongs to the Salvadoraceae family. The botanic systematic name of the tree is Salvadora persica. Chewing sticks of the Pilu tree were used by the Babylonians approximately 7000 years ago; they were later used throughout the Greek and Roman empires, and by ancient Egyptians and Muslims. These chewing sticks are most commonly used in the Middle East and South America, though are also used in parts of Africa and Asia. Chewing sticks are used for oral hygiene, religious and social purposes. The Pilu tree is a salt-tolerant shrub or small tree, living in arid zones. It is native to India, Africa and the Middle East. In English, the Pilu tree is commonly known as the Toothbrush Tree, Patana Oak, Slow Match Tree, Tummy Wood, and Wild Guava. The generic name was given in 1749 in honor of an apothecary of Barcelona, Jaime Salvador y Pedrol (1649-1740), by Dr Laurent Garcin, botanist, traveler and plant collector. The true specimen of this species came, as the specific name indicates, from Persia. The Pilu tree is widely distributed in the drier parts of India, Baluchistan, and Ceylon and in the dry regions of West Asia and Egypt. 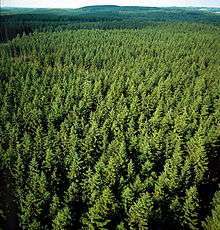 In India, the tree is found abundantly in the states of Gujarat, Haryana, Punjab and Rajasthan. In India it grows wild in arid or sandy areas of Punjab and north India and thrives in saline soils, but with a stunted growth. 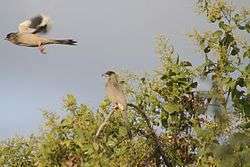 The fruits appear in May in Western areas and in June in central parts. Fruits are pale green to red brown when ripe. It is a globose drupe. The fruits are sweet and edible. 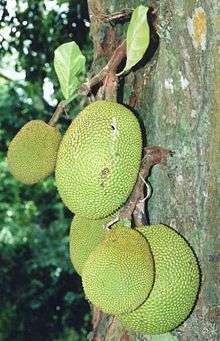 The yield of fresh fruit per tree will be 10–15 kg. The yield of dried fruits will be 2–3 kg. The percentage of the oil in seeds is 32-34%. The seed contains a brittle shell on the outer surface, and the kernel accounts for 60% in dried seed, containing 40-43% oil. ‘Sweet Variety’ of Pilu yields 35-44% oil which has a strong odour. The odour is due the presence of Benzyl isothiocyanate in the oil. There is greenish yellow fat called Khakan fat. The purified fat is free from foul odour and has an agreeable taste. It is snow white. The oil is rich in lauric and myristic acids. The fat is used in soap, making up to 20% of the soap itself, and it replaces coconut oil. It is used as a resist in the dyeing industry. The oil is also used in rheumatic infection treatment. It has a high melting point and a disagreeable odour that disappears on purification. The most important aspect of the oil is the presence of a low percentage of C8 and C10 fatty acids that are of great economic significance. The oil is an alternative source of oil for soap and detergent industries. In India Pilu fat is being used for soap making in the "unorganised" or cottage sector of the industry, particularly by the Non-Edible Oil Industry of the Khadi and Village Industries commission. The All India Non-Edible Oil Industry Association, Poona, are also making soap with it. The oil has a bitter and sharp taste and may be used as a purgative diuretic, or tonic seed oil may be applied to the skin in rheumatism. ↑ "Miswak (chewing Stick): A Cultural And Scientific Heritage\publisher=miswakstick.com/" (PDF). Retrieved 2013-11-29. 1 2 "Salvadora persica" (PDF). worldagroforestry.org/. Retrieved 2013-11-29. ↑ "Pilu (Hindi: पीलू)". flickr.com. Retrieved 2013-11-29. ↑ . 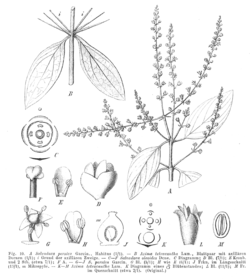 "Salvadora persica". ncbi.nlm.nih.gov. Retrieved 2013-11-29. 1 2 "Pilu / Khakan". crirec.com. Retrieved 2013-11-29. 1 2 Modern Technology Of Oils, Fats & Its Derivatives. books.google.co.in/. Retrieved 2013-11-29. ↑ "chandra oil- pilu oil". my.agrotrade.net/. Retrieved 2013-11-29.